CubekolIf you are editing main menu it will not show changes when you type hud_reloadscheme. The best option for seeing changes without restarting the game is to change antialiasing level. Be aware that it works only for main menu, if you are editing something like backpackpanel you need to restart your game every time you want to see changes. Wrong, having toggleconsole bound to back tick/tilde ( ` or ~ ) allows you to open console in those panels and then enable vgui_drawtree 1. Having Highlight Selected ticked and selecting the correct parent in the tree with hud elements and clicking 'Reload Scheme (Highlighted)' will reload backpack/store panel stuff. Reopening lobby panels will also reload them and you can even use a reloadscheme button in most backpack/store/loadout panels so you don't have to enable console and can do it with a press of a button. 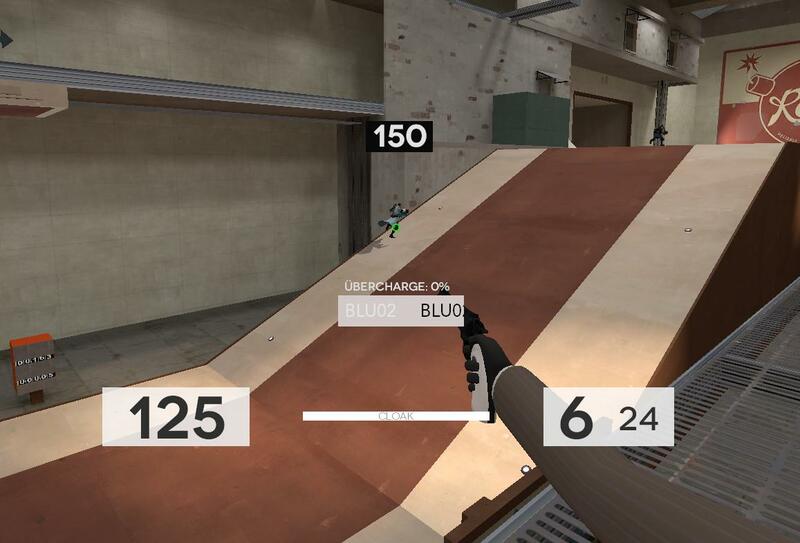 [quote=Cubekol]If you are editing main menu it will not show changes when you type hud_reloadscheme. Wrong, having [i]toggleconsole[/i] bound to back tick/tilde ( ` or ~ ) allows you to open console in those panels and then enable [i]vgui_drawtree 1[/i]. Having [i]Highlight Selected[/i] ticked and selecting the correct parent in the tree with hud elements and clicking 'Reload Scheme (Highlighted)' will reload backpack/store panel stuff. Reopening lobby panels will also reload them and you can even use a [url=https://github.com/Wiethoofd/WietHUD/blob/master/alternatives/reloadscheme_button.res]reloadscheme[/url] button in most backpack/store/loadout panels so you don't have to enable console and can do it with a press of a button. How does one change the BG colour of the weapon/hat panels for stock, hovering over and deselected items? Any line involving PlayerStatusHealthBonusImage, if it's just the flashing cross you want to stop from flashing. To remove it entirely you'd edit inside hudplayerhealth.res and move it to xpos and ypos 9999 or some other value far offscreen. I can't seem to find out why my hud keeps on removing buttons. They sometimes appear but when I click on item button or open the console it disappears. puoi1I can't seem to find out why my hud keeps on removing buttons. How do I edit the different parts of the halloween hud? [quote=puoi1]I can't seem to find out why my hud keeps on removing buttons. duck_What is the file that edits the scores in carnival of carnage (e.g. duck count, player count, goal count) XenThePybroHow do I edit the different parts of the halloween hud? are you guys seriously too lazy to use vgui_drawtree 1 command ? I tried and I found the kart charge, boss health, wheel of doom and the spell menu but I wanted to check to make sure I was not missing anything. What file(s) do I have to edit to readjust my ammo box? Somehow while equipping the cow mangler, my ammo appears in the bottom right corner (like default) instead of in the middle of my screen next to my health. Chill_ColinsWhat file(s) do I have to edit to readjust my ammo box? Somehow while equipping the cow mangler, my ammo appears in the bottom right corner (like default) instead of in the middle of my screen next to my health. Hypnotize has updated this hud I believe, so if the bxhud that you have is outdated you may want to check his thread to see if just moving to a more current version of it will fix your problems. [quote=Chill_Colins]What file(s) do I have to edit to readjust my ammo box? Somehow while equipping the cow mangler, my ammo appears in the bottom right corner (like default) instead of in the middle of my screen next to my health. Why is basechat.res not in the stock hud files and if it is can you please help me find it? Where do I edit these again? You have two name labels. The one that is white is the stock one and is aligned on the x axis by the width and xpos of SpectatorGUIHealth. The other one is one made my the hud creator because sadly the text colour is stuck on tanlight so to change it to a darker colour everything else in the hud would need to switch colour too. So the fix around it is creating another but this one is not aligned by SpectatorGUIHealth so you can only make it look good with or without the floating target health, not both. 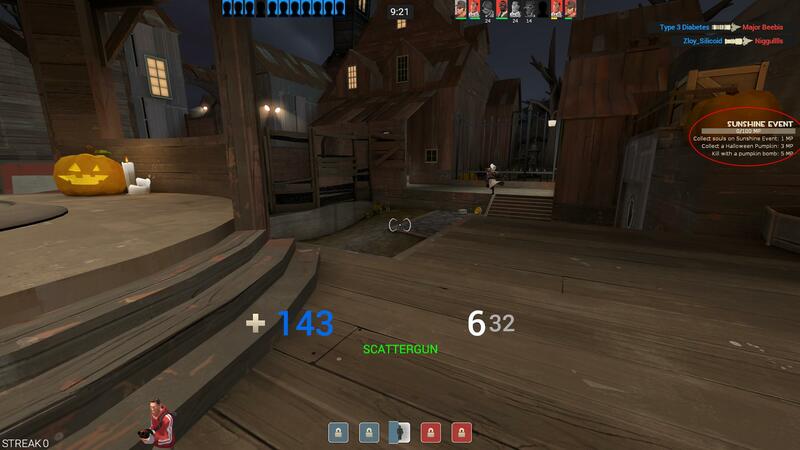 tf_hud_target_id_disable_floating_health 1 will disable the floating health so it should fix things for you. @XenThePybro #3852: basechat.res is packed in /Team Fortress 2/hl2/hl2_misc_dir.vpk. I'm not even sure if it has ever been touched for stock HUD changes. Here it is in my repo. @JB #3854: Try looking at the questitemtrackerpanel* files in /resource/ui/quests/. 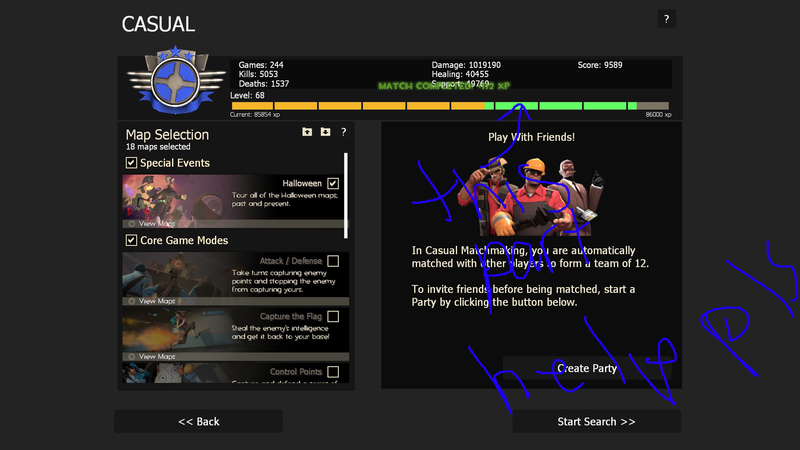 @XenThePybro #3852: basechat.res is packed in /Team Fortress 2/hl2/hl2_misc_dir.vpk. I'm not even sure if it has ever been touched for stock HUD changes. 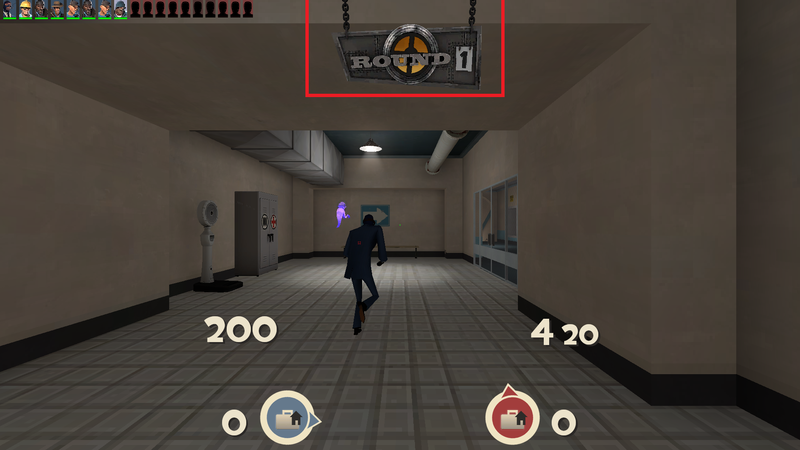 Here it is in my [url=https://raw.githubusercontent.com/Tewgon/tf2basehud/master/resource/ui/basechat.res]repo[/url]. is there a way to make hud crosshairs bigger? wtzis there a way to make hud crosshairs bigger? So how do I add a font to wiethud? I have a font that I change the main font to on all of the huds I use but I can't for the life of me figure how to do it wiethud. Rays guide for changing hud font has helped me on every single other hud I'v used but it doesn't seem to work here? What is the field name for this HUD element, and in which file is it located? [s]What is the field name for this HUD element, and in which file is it located? 5. Now you just need to animate your crosshair when you do damage. Xen, don't forget about the FPS drops when dealing damage and having hitmarkers, this can be fixed by creating a different event and calling that from the DamagedPlayer event. 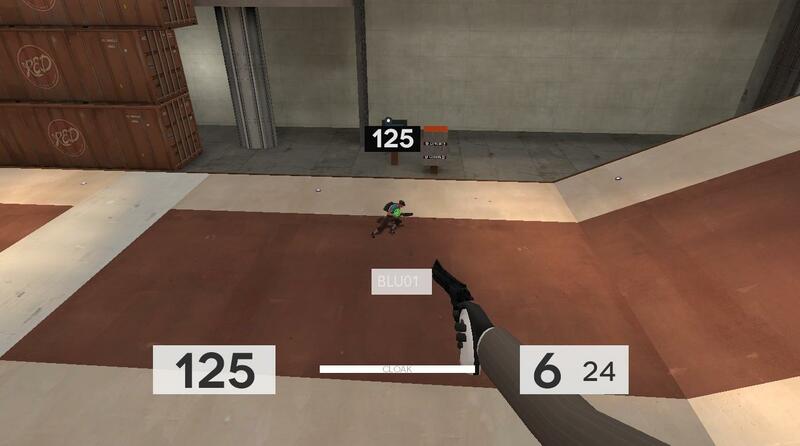 Xen, don't forget about the [url=https://www.reddit.com/r/tf2/comments/57760o/cause_and_fix_for_serious_fpsdrop_issue_involving/]FPS drops[/url] when dealing damage and having hitmarkers, this can be [url=http://huds.tf/forum/showthread.php?tid=345]fixed by creating a different event[/url] and calling that from the [i]DamagedPlayer[/i] event.